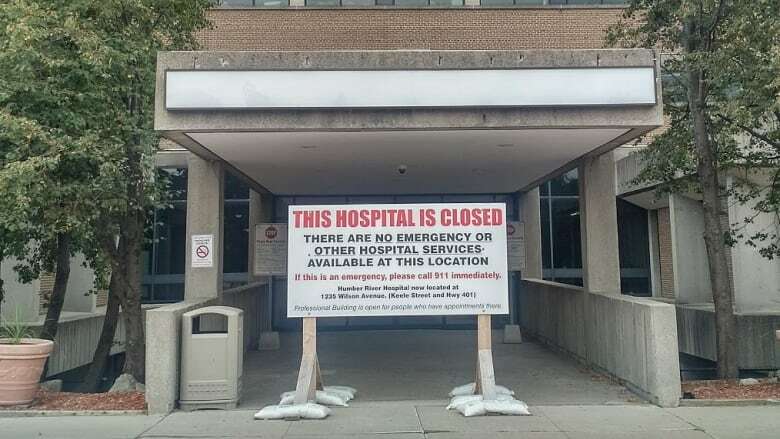 Ontario is considering a plan to urgently transform a mothballed hospital site in Toronto into a temporary source of beds as a result of overcrowded hospital wards, the province's health minister confirmed Wednesday. 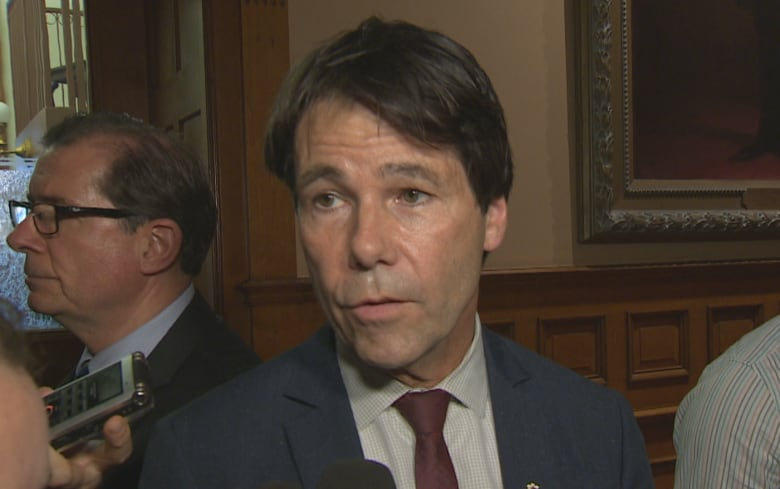 Eric Hoskins said the government is working on a plan to staff one of the former locations of Humber River Regional Hospital to relieve pressure on acute-care wards across the Greater Toronto Area. The plan could start in the coming weeks. The Health Ministry is also considering a similar path with facilities elsewhere in Ontario. "We're having a number of conversations with other hospitals across the province that have come forward," Hoskins said. "They have ideas and suggestions and proposals of their own." This comes as the umbrella group representing the province's hospitals predicts a capacity crisis across Ontario unless urgent action is taken before the winter flu season. The Humber River Regional's old Finch Avenue building was closed in 2015 when a new hospital was built. It would be used as an intermediate-care facility, and would accept patients who are occupying beds in Toronto-area hospitals while waiting for some other form of care, such as a nursing home or rehab bed. Hoskins said using the facility would make 150 beds available for non-acute patients. "In the spring budget, we allocated $24 million to look at how we could provide better, higher-quality support to individuals — many of them seniors who are currently in hospital," Hoskins said. "It will ready many of them for going home, and going home in a better state," he said. 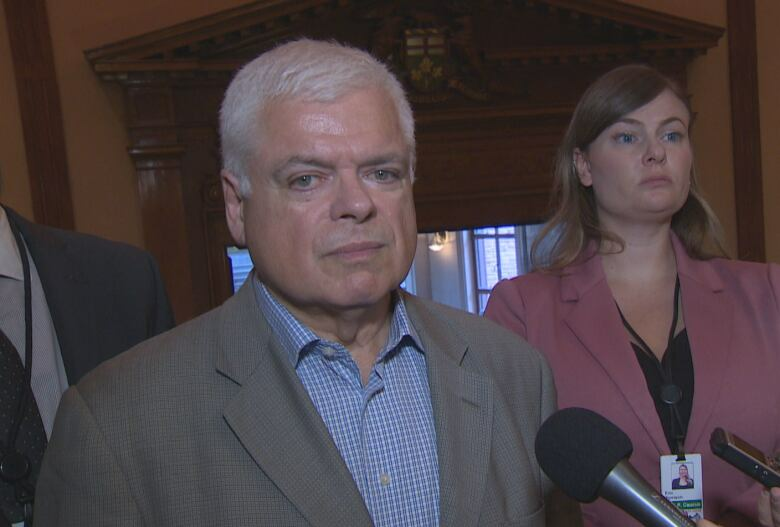 During question period in Toronto today, NDP MPP Peter Tabuns disputed that. "Will the premier explain how a facility that wasn't good enough for patients two years ago will be good enough for vulnerable seniors now?" Tabuns asked. "We're dealing with numbers in the many thousands, and so 150 beds I don't think is going to solve this crisis. This crisis has been building for a long time. You're going to have to have ongoing, sustained investment in the healthcare system and the hospitals if you're actually going to deal with this." "I do think there's a general concern that we have hallway medicine right now," PC leader Patrick Brown told reporters Wednesday. "We have a crisis at our hospitals and the government's been asleep at the switch." Nearly 3,000 beds in Ontario hospitals (about 16 per cent of the total) are currently occupied by "alternate level of care" patients: they do not need to be in acute care, and have been officially discharged, but remain in hospital because the actual level of care they need is not available. The ripple effect in hospitals keeps other patients waiting as far up the line as the emergency room. ​Do you have a family member stuck in an Ontario hospital waiting for a long-term care bed? Email CBC News to tell us your story. This summer, wait times for patients admitted through emergency departments hit the highest monthly level recorded since the province started measuring this nine years ago, according to the Ontario Hospital Association. That is prompting fears of significantly longer wait times and overcrowding when flu season hits. 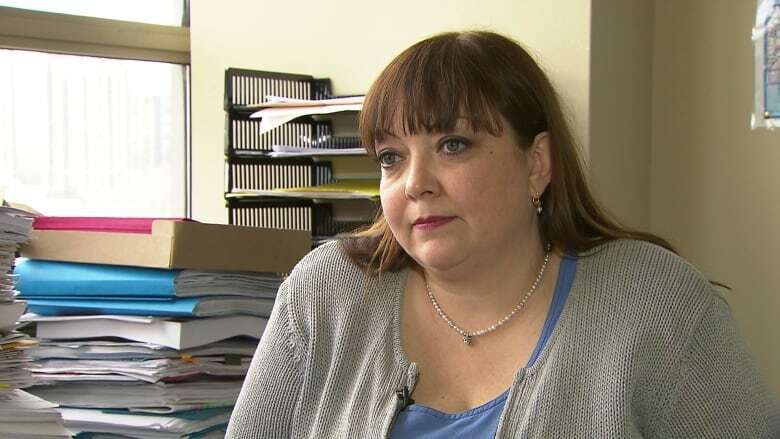 "There just simply isn't enough capacity to deal with the existing patients, let alone a winter surge," said Natalie Mehra, executive director of the Ontario Health Coalition, whose members include health-care unions and patient advocacy groups. "Conditions strongly suggest that the health-care system faces a real capacity crisis this winter without further action," said Ontario Hospital Association president Anthony Dale in a statement earlier this month. A woman suffering internal bleeding spent five days in a hallway at Brampton Civic Hospital. An 84-year-old patient spent three weeks in the TV lounge at Health Sciences North in Sudbury. Backlogs of 60 patients jammed into the ER at Lakeridge Health in Oshawa. 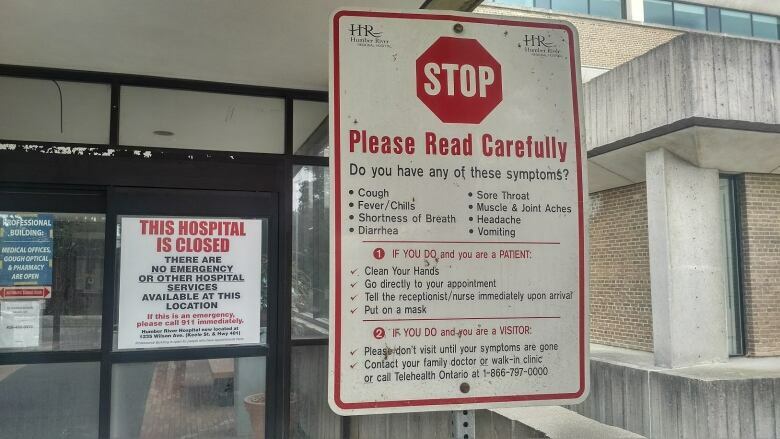 Hospitals over capacity in Waterloo region, Hamilton and Windsor. The root causes of the capacity crunch are a matter of debate. Tabuns said for 14 years, the Liberal government has "either underfunded or frozen hospital budgets, creating the crisis in care that we're facing now." The Ontario Health Coalition also blames underfunding. "Ontario has cut hospital beds to a point that is unsustainable," said Mehra in an interview Monday with CBC News. There are about 2.4 beds for every 1,000 people in the province, fewer than the Canadian average and fewer than nearly every other Western country with socialized medicine, according to these figures from the Organization for Economic Co-operation and Development. While Mehra supports the idea of using the Humber River site to increase bed capacity, she is concerned the move is a Band-Aid solution. The Ontario Hospital Association blames the acute-care overcrowding on a shortage of available long-term care and home care. "The root of today's capacity challenge is that far too many frail elderly patients can't get access to the care they really need outside the hospital setting," said Dale in his statement. The latest figures available from Health Quality Ontario show the typical hospital patient in need of long-term care spends 68 days waiting, a figure that has risen steadily over the past decade. Ontario's auditor general has also warned that too many patients who should be in long-term care are unnecessarily occupying hospital beds. Health Ministry officials were unable Tuesday to provide any figures about how many patients the Humber River site would serve, how much it could cost to operate, or how long it would remain open.